A private swimming pool in the sanctuary of your own backyard is the feature of many homes around sunny WA. They bring a sense of serenity and style to any garden landscape, attracting family, friends and fun, however for many pool owners, the continual maintenance, cleaning and repairs can be painful and tedious. By letting our experts at Waterline Pool Services take on these responsibilities for you, the luxury and leisure of having a swimming pool becomes just that – luxurious and leisurely. 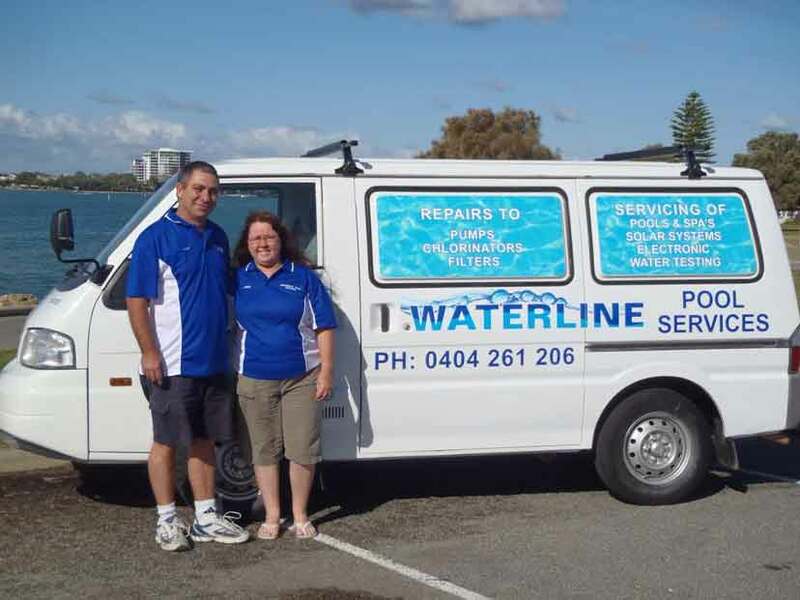 At Waterline Pool Services, we come to your property at a convenient time for you, and complete the necessary cleaning, maintenance and repairs at hand to a professional standard every time. This not only avoids expensive damages occurring later down the track from a lack of upkeep, but it takes the hassle out of owning a pool by leaving all of the hard work to us. Our specialist skills lie in water pump installation and water pump maintenance – a central component of every pool. It is vital that your pool’s pump isn’t impaired in any way in order to uphold hygienic water standards. When essential pump maintenance is neglected, damage increases at a rapid pace and can become unmanageable. Getting it checked by our fully qualified technicians is a safe choice. We cater to swimming pools both commercial and residential within the coastal streetscapes of Mandurah WA, all the way up to Secret Harbour and down to Waroona and Dawesville. We are available for one-off jobs, or regular servicing, whatever it is that you require. At Waterline Pool Services our customer satisfaction is unrivaled, as we guarantee results, placing strong focus on creating more ease for you, the customer. Come that warmer weather, your pool is your well-earned oasis. With our professional pool services you can feel confident that it is left sparkling, undamaged and sanitary, so that you can reap the relaxing rewards. For more information please feel to free to contact us either by phone or email.